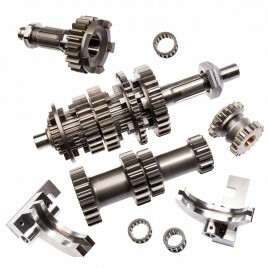 All new design - Our new straight cut transfer gears sets. A must for any competition engine build. 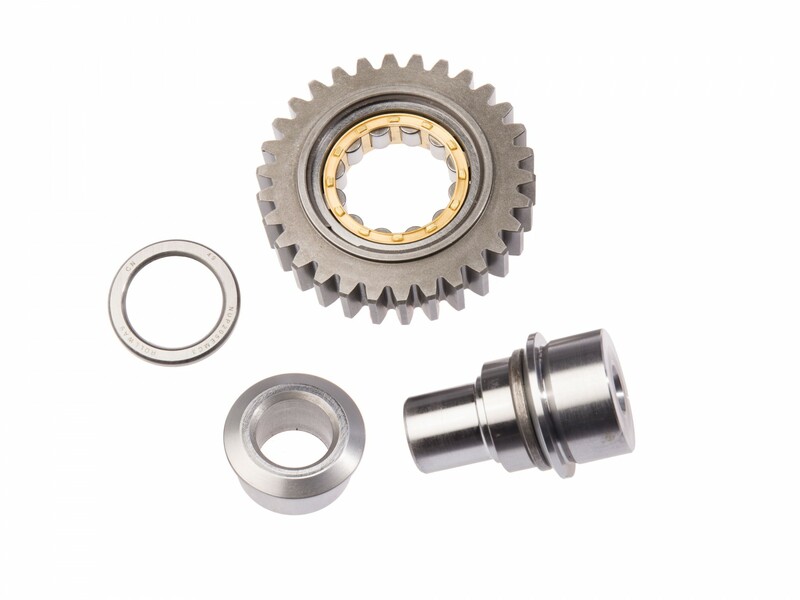 A must for any competition engine build, the MED roller bearing drop gear sets use a highly durable roller bearing/spindle design for the idler gear, to replace the standard pin and needle bearing setup. The primary gear has been totally redesigned. The tooth width is now 17.2mm long which is an increase of 2.4mm, this will give more contact area between the primary gear and idler gear helping reduce tooth wear commonly associated with this gear. We have also incorporated a fully-floating bush, which is retained by a flat section circlip to help reduce primary bush failure. 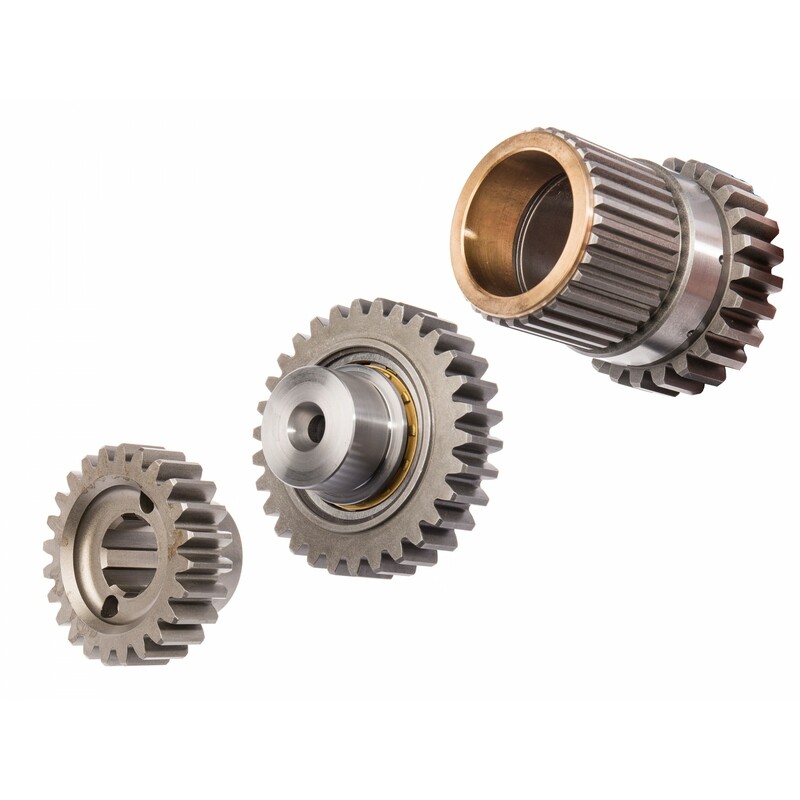 The idler gear features an integral roller bearing, running on fixed a axis within the gearbox and flywheel housings – probably the strongest and most reliable available for the A-Series transmission. 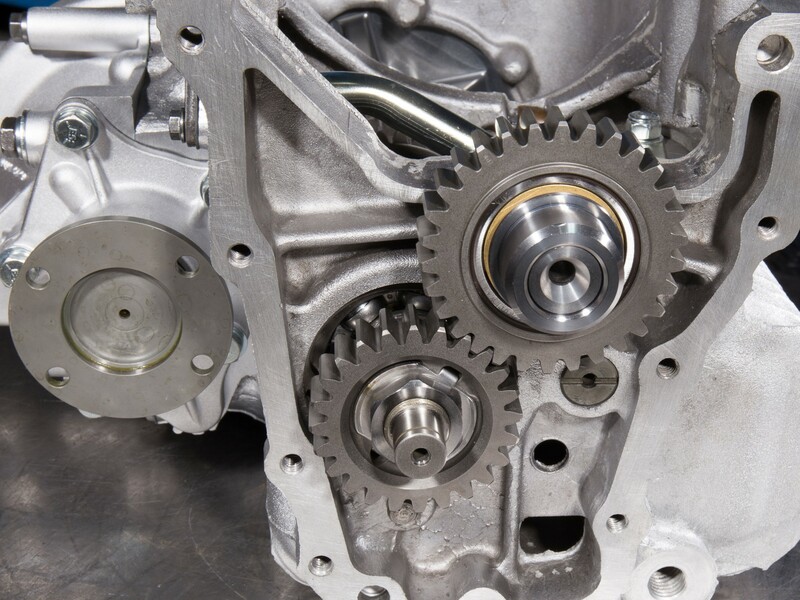 The input gear has also been revised with extra width teeth to give greater tooth contact between both idler gear and input gear again to help reduce tooth wear commonly associated with in this area of the transmission. This makes an indestructible drop gear set. 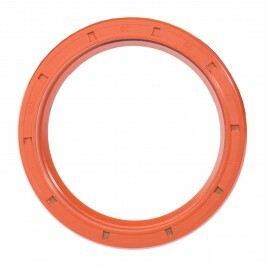 The idler gear roller bearing runs on the steel support shaft fitted into the gearbox casing. The steel top hat spacer then replaces the idler bearing within the flywheel housing, which encapsulates the idler gear assembly when fitted. There is no need for any shimming as all tolerances are taken up within the gear assembly, this itself can save time and further expense on over/under size shims and idler gear bearings. 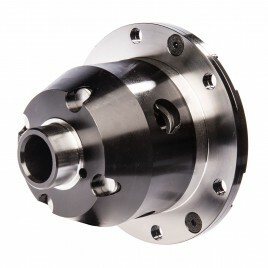 Straight-cut drop gears are stronger and more reliable than the standard helical design, with less side-loading effect. 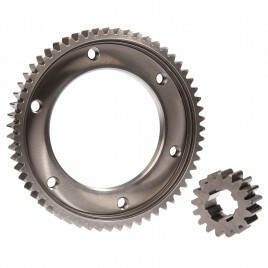 The kit is supplied with all three drop gears - so a primary gear, idler gear and input gear. 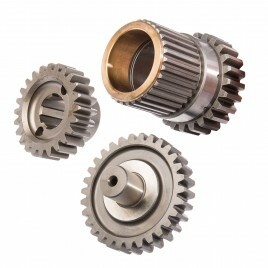 We can supply alternative ratio sets by changing the primary gear/input gear. See the Additional Information tab for more on changing drop gear ratios. For reference, A-plus sets have a 22mm idler gear shaft and pre-A-plus have a 19mm idler shaft. Both 1275cc and 998cc sets can be chosen from the dropdown menu above. For fast road applications we would recommend setting the primary and idler gear end float between 0.004-inch to 0.006-inch. For competition, a marginally larger tolerance may be suitable - contact us if you're unsure. 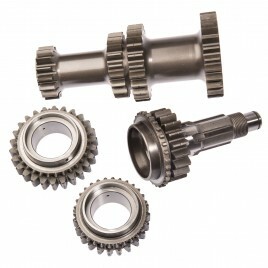 The MED drop gear sets are available in three different ratios, which can be used to tweak the final drive ratio. Changing the effective final drive ratio will either improve acceleration or top speed potential, although one will always come at the expense of the other. We can do this by changing the tooth count on either the idler gear or primary gear to 23 or 24 teeth. 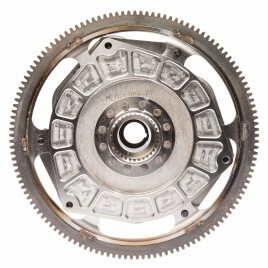 The idler gear in the middle remains at 30 teeth regardless. 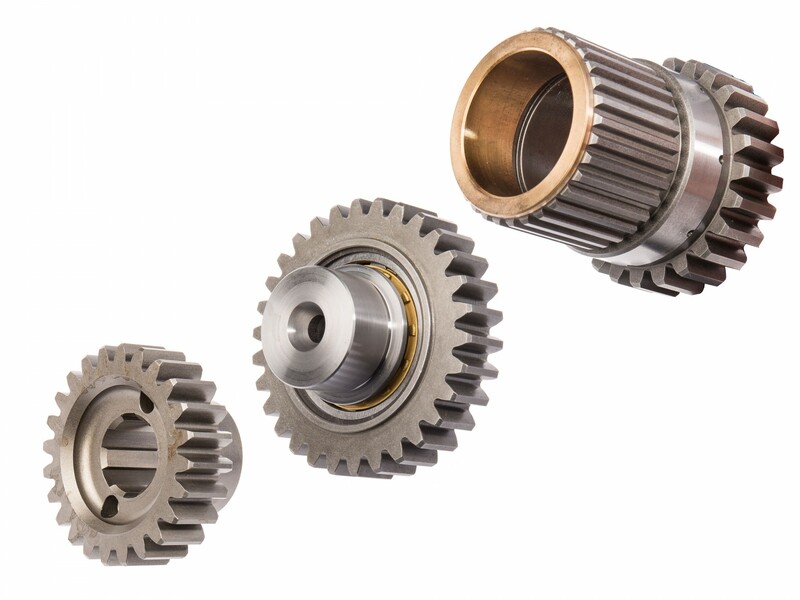 To calculate your effective final drive ratio based on the above, simply multiply your existing final drive ratio by the number of the drop gear set. So for example, a 3.47:1 final drive ratio with a 1:1.043 drop gear set then becomes 3.62:1. Remember that the higher the number, the shorter the gearing will be, so this change will result in a higher engine RPM for a given speed. 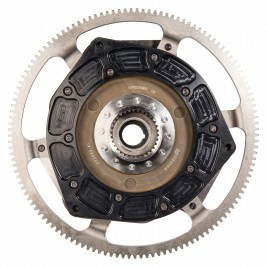 Changing the primary gear is easier than removing the differential to change the final drive ratio, so racers use this to adjust their gearing to suit different circuits. Keeping an engine in its peak powerband for longer will result in a faster lap time.